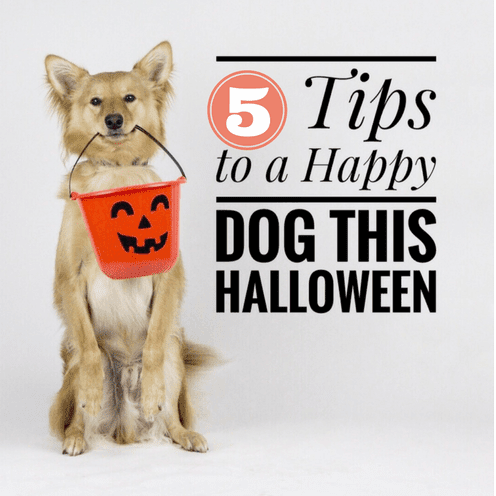 5 Tips To A Happy Dog This Halloween. 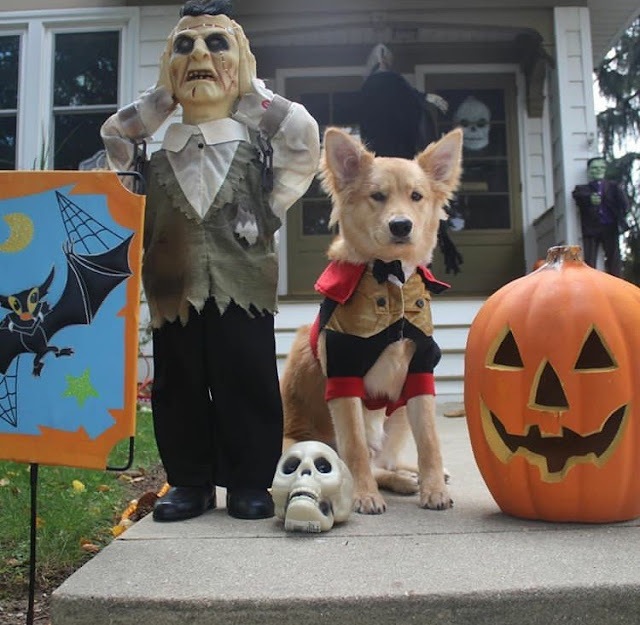 Halloween is an amazing & spooky holiday for the humans, but what about the dogs? Here are 10 tips to keep your dog just as happy as you this holiday. 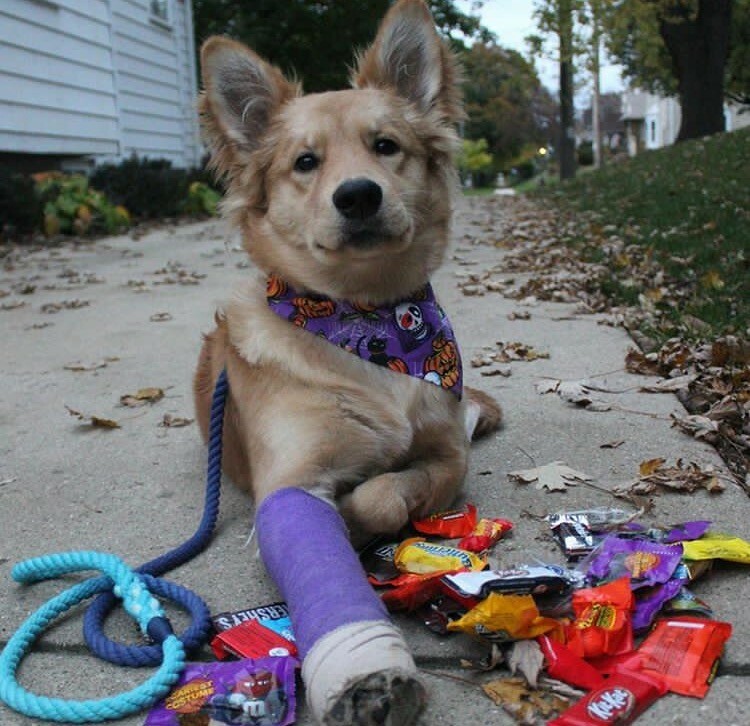 We all know dogs can't eat chocolate, but there are other candies that your pup should avoid, too. 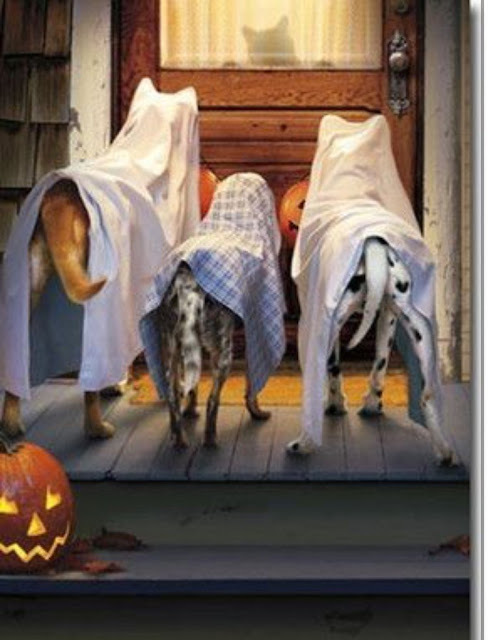 Keep an eye on your dog and make sure they don't get into that candy basket... those are for the trick-or-treaters, anyways!! If you have trick-or-treaters constantly stopping at your door, it's likely that you'll keep it open. An open door is an easy way for your pup to run off, especially if they're afraid of any decorations. 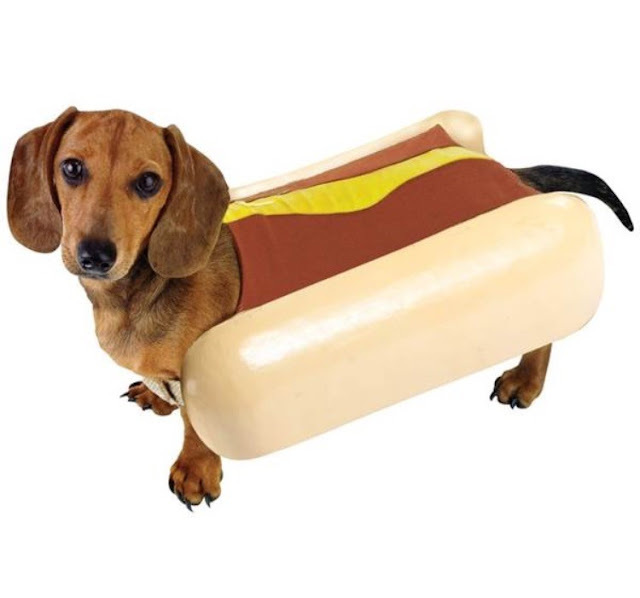 Some dog owners like to dress up their pets for Halloween, so make sure is something your dog will be comfortable wearing. Try walking around while your dog is wearing their costume before Halloween, so he/she can get used to it. Decorations can be a huge hazard to your pet, weather they're candle lit or battery operated. 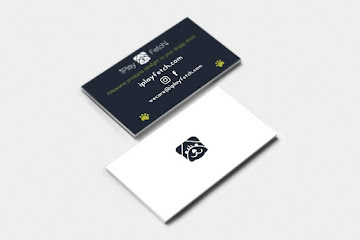 Your pet could chew on a cord or get too close to the fire. 5) Keep those ID tags on! It's dark. There are people everywhere. You might not even see your dog sneak out of the house. 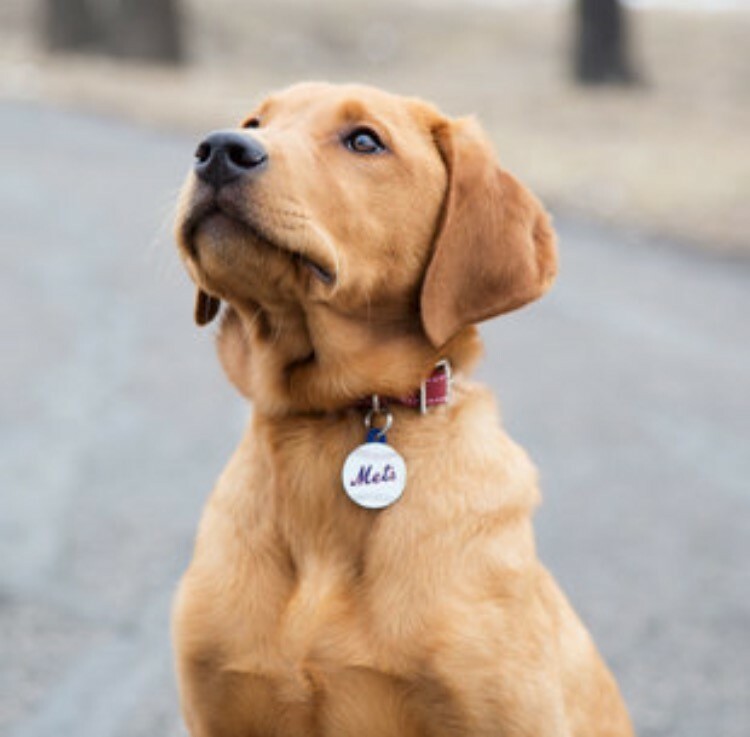 Make sure your pet can be properly identified in case of emergency, especially on such a chaotic day. Have a Happy Halloween! Stay safe!